Born a slave in Haiti on June 27, 1766, Pierre was destined to be one of America’s most illustrious citizens just a decade before declaring her independence from Great Britain. In spite of being a slave, as objectionable as the condition of a slave truly is, Pierre had a good upbringing. His master, Monsieur Jean Berard du Pithon, raised him and his sister, Rosalie, in the Catholic Faith, which M. Berard and his family professed devoutly. Berard’s sister Aurora was Pierre’s baptismal godmother. Later in life, Pierre maintained contact with his godmother by letter until her death. Aurora then lived in Paris when the Terror of the French Revolution came to an end. These facts testify to a strong family relationship that Pierre had with the Berard family. Pierre grew up as a house slave along with his grandmother on the wealthy Berard plantation, one among many French plantations in 18th century Haiti. Pierre’s life was peaceful until new and revolutionary doctrines coming from France led to violent slave revolts in the colony. Due to these events Jean Berard had no choice but to leave the island in 1787 with his wife, Marie Elisabeth, and five of his house slaves. Pierre and his sister, Rosalie, were among them. They left Haiti and made their temporary home in the growing city of New York. At that time New York had some 30,000 inhabitants. Only 300 were Catholic. The Berards joined those Catholics and found a home at Old St. Peter’s Church on Barclay Street where Pierre attended Mass every day at 6:00 am for the next 60 plus years of his long life. Expecting to only spend a year or so in New York, M. Berard lived a pleasant life with his family without financial concerns or otherwise. During this time, Pierre’s master apprenticed him to a beautician who regularly dressed Madame Berard’s hair. Pierre quickly became an accomplished beautician. This fact would be providential in the near future, not only for the Berard family, but also for the history of the Catholic Church, Mother Elizabeth Ann Seton’s new order and many others in the young New York City. After some time, M. Berard felt obliged to return to Haiti to look after his property and try to recover his estate. The family’s funds were diminishing, and they were already living more modestly. Jean Berard then made the long journey to Haiti and found that his property was irremediably lost. Before Jean could return to New York to make the best of a dire situation, he succumbed to pleurisy and died suddenly. News of the unfortunate event left Marie Elisabeth destitute and heart broken. When all seemed lost she gave some of her jewels for Pierre to pawn at a shop. In that way the family would have some funds to sustain itself for a certain length of time. After a few days, Pierre returned to his mistress with two packages. She took the packages and found in one the jewels she had given him to pawn and in the other, the funds necessary to maintain the household. Yes, Pierre had started working as a beautician and found it to be a lucrative business. He quickly obtained a wealthy and elite clientele. For the next several decades, Toussaint was a well known beautician for the ladies of high society in New York City. Some days he spent fourteen hours at a time on his feet. Pierre lived as a slave and financed the Berard household. He had no other desire but to serve and bring happiness to the sad young widow. Never asking for his own freedom, he bought the freedom of several slaves including his own sister, Rosalie. His daily schedule was grueling. He went to 6:00 am Mass at Old St. Peter's and from there to the market to buy food sufficient for the day. After returning home, he would go on foot throughout the city with his barbering equipment to dress the hair of his extensive clientele. After a time, he was known for his good advice. His counsel was sought after by many, including non-Catholic patrons. When too old to dress hair, his wisdom was still appreciated, and he frequently made visits to give the excellent counsels that he was so known for. Toussaint was eventually freed when Marie Elisabeth was close to death. Though weak and unable to speak, she insisted on signing the papers giving Toussaint his freedom. She died at the young age of thirty two. Pierre later expressed his joy that she never had a want, and he was glad he had served her. The rest of Pierre’s life was spent as one of service to the Catholic cause in New York City. 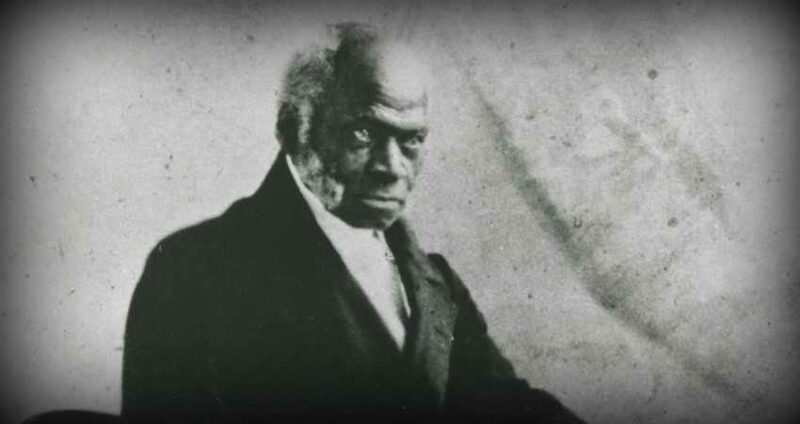 He would have been the richest black man in the United States had he not spent so much of his resources aiding those in need and assisting the Church. In fact, he was a major benefactor in the construction of old St. Patrick’s. Pierre's achievements were extensive: he gave assistance to St. Elizabeth Seton’s new founded order, he purchased the freedom of slaves, he cared for the sick in the time of a contagious plague, he even provided meals secretly for an impoverished man of society, and he gave wise counsel to all who sought his advice. Service was his passion and he wanted nothing but to practice this virtue in the spirit of true charity. Toussaint passed from this valley of tears on June 30, 1853 at the age of 87. His funeral was attended by a large number of whites and blacks. He was first buried in the graveyard of old St. Patrick’s. When his remains were exhumed well over a hundred years later, they were moved to the current St. Patrick’s Cathedral on Fifth Avenue. He continues to be a model of service and true love of God and man. In 1996 Pierre was declared Venerable by the Catholic Church, a stage in his canonization process.